Was Fermentation Key to Yeast Diversification? From bread to beer, yeast has shaped our diets and our recreation for centuries. Recent research in GEE shows how humans have shaped the evolution of this important microorganism. As well as revealing the evolutionary origins of modern fission yeast, the new study published in Nature Genetics this month shows how techniques developed for detecting genetic causes of disease in humans can be usefully applied to better understand the ecology, biochemistry and evolution of commercially and scientifically important microorganisms like yeast. 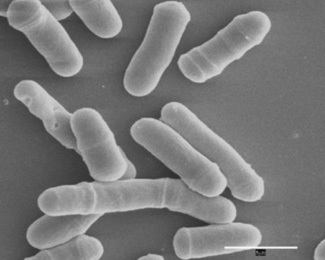 Fission yeast, Schizosaccharomyces pombe, is one of the principal ‘model’ species that cell biologists use to try and understand the inner workings of cells. Most famously, Paul Nurse used this yeast to discover the genes that control cell division. The laboratory strain was first isolated from French wine in 1924, and has been used ever since by an increasingly large community of fission yeast researchers. However, serendipitous collection of new strains has continued slowly since that time, and many of these are associated with human fermentation processes – different strains have been isolated from Sicilian vineyards, from the Brazilian sugarcane spirit Cachaça and from the fermented tea Kombucha. Despite it’s enormous scientific importance, little is known about the ecology and evolution of fission yeast. Research published this month by Professor Jürg Bähler, Dr Daniel Jeffares and colleagues from UCL’s department of Genetics, Evolution and Environment, along with researchers from 10 other institutions across five countries, reveals an intimate link between historic dispersal and diversification in yeast and our love of fermented food and drinks. The project sequenced the genomes of 161 strains of fission yeast, isolated in 20 countries over the last 100 years, enabling the researchers to reconstruct the evolutionary history of S. pombe, as well as investigating genetic and phenotypic variation within and between strains. Bähler and Jeffares were able to date the diversification and dispersal of S. pombe to around 2,300 years ago, coinciding with the early distribution of fermented drinks such as beer and wine. Strains from the Americas were most similar to each other, and dated to around 1600 years ago, most likely carried across the Atlantic in fermented products by European colonists. This is reminiscent of findings for the common bread and beer yeast species, Saccharomyces cerevisae, whose global dispersal is thought to date to around 10,000 years ago, coinciding with Neolithic population expansions. This research therefore reveals the intimate link between human use of yeast for fermentation and it’s evolutionary diversification, and highlights the power of humans to shape the lives of the organisms with which they interact. The researchers also used genome-wide association techniques to investigate the relationship between genotype and phenotype in the different strains. They began by carefully measuring 74 different traits in representatives of each strain. Some traits were simple, such as cell size and shape, but the researchers also measured environment-genotype interactions, for example by investigating growth rates and population sizes with different nutrient availabilities, drug treatments and other environment variables. In total, they identified 223 different phenotypes, most of which were heritable to some extent. Further, relatively few of the phenotypes were strongly linked to a particular population or region, making yeast ideal for genome-wide association studies (GWAS), unlike Saccharomyces cerevisae, for which it has not been possible to use GWAS successfully. GWAS was developed to identify genes that are linked to specific diseases in humans, however this study highlights how the technique can usefully be applied to understanding evolution and genotype-phenotype relationships in other organisms. Tightly controlled experimental conditions that can be achieved with microorganisms in the laboratory make GWAS possible and informative for organisms such as yeast. The researchers found 89 traits that were significantly associated with at least one gene; the strongest association explained about a quarter of variation between individuals. Looking at variation in genomic sequence between strains also allowed the researchers to investigate which parts of the genome have undergone more evolutionary change than others, and which regions are likely to be particularly important for function. Genes and genomic regions that are crucial to survival (such as those involved in basic cellular function, for example), tend to change relatively little over evolutionary time, because most mutations in their sequence would be severely detrimental to survival. A process known as purifying selection tends to keep these genetic sequences the same over long stretches of evolutionary time. Less crucial genetic sequences have more freedom to change without having serious consequences; they are not subject to strong purifying selection and tend to show more variation between individuals and populations. The authors found that genetic variation between strains was lowest for protein-coding gene sequences (those that produce protein products such as hormones and enzymes), which is to be expected. However, they found variation was also low in non-coding regions near genes. These regions are thought to be important in gene regulation, echoing an increasing appreciation that the evolution of the regulation of gene expression may be as important, if not more so, than the evolution of the gene sequences themselves. This ground-breaking research from GEE reveals fascinating insights into the ecology and evolution of fission yeast, a microorganism that directly or indirectly influences our lives on a daily basis. It highlights how important humans have been in shaping the genomes of commercially and scientifically important organisms, whilst also expanding our knowledge of genes, genomes and phenotypes more generally. Applying techniques such as this to a wider range of organisms has the potential to vastly increase our understanding of the genomic dynamics of evolutionary change. 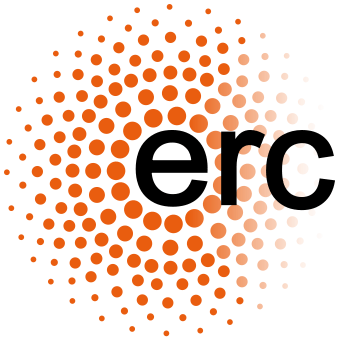 This research was made possible by funding from the Wellcome Trust, the European Research Council (ERC), the (BBSRC), the UK Medical Research Council (MRC), Cancer Research UK, the Czech Science Foundation and Charles University.